Here are a few important features for managers of residential properties. Property Boulevard enables easy marketing of existing and future vacancies. It is powerful and free. With a single mouse click you can post professional advertisements along with images to Zillow, Craigslist, MSN, Yahoo, Trulia, Hotpads and others. Property Boulevard includes fast, easy and instant tenant screening via seamless integration with Contemporary Information Corp. (cicreports.com) and Rent-Check (rentcheck.ca). Multiple, parallel tenants in a unit. Property Boulevard enables efficient management of multiple tenants or residents in a unit with either a separate ledger of charges and payments for each tenant, or a consolidated ledger for the entire unit. Roommate and anchor tenant management. Property Boulevard enables an unlimited number of roommates in a residential unit, with individual move-in and move-out of each roommate. In addition, a roommate’s payment is automatically applied toward the main tenant’s account. 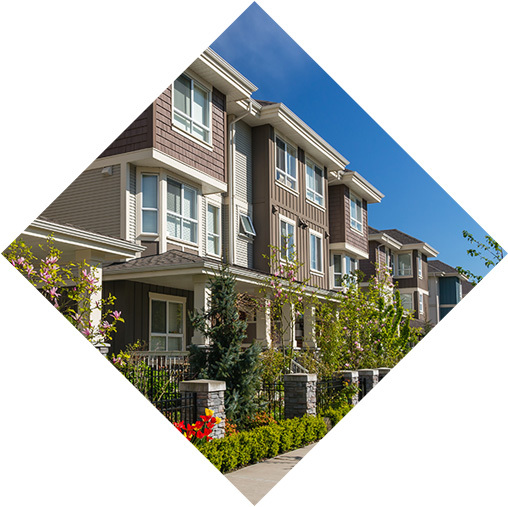 Property Boulevard enables clear distinction between a tenant’s responsibility and rent paid by a third-party, such as HUD or other subsidized program. You may establisha different set of rules for payments received directly from the tenant (for example, a late fee rule), and for payments received from a third party such as Section 8. Property Boulevard enables you to post a check from HUD across all affected units in a single window. ACH and online portal payments. Property Boulevard enables a complete automated rent collection via ACH, or online payments via a portal service. Prospective tenant management from start to finish. Property Boulevard provides prospective tenant management from the first contact through preferences and selection, screening, walk-through, offer and signed lease agreement. It enables automated unit matching according to the tenant preferences, key and visit management, screening, proposals and a customized lease agreement. Property Boulevard enables unique features for student housing. Whether you set separate rent for each student or collective rent for the entire unit, Property Boulevard makes the management of student housing easy and complete. Whether you deploy Property Boulevard online or on-premises, its Tenant-Access module enables, tenants to report or request work orders online. This feature allows you to handle each request in real-time to save time, eliminate phone calls and streamline the work order process. Property Boulevard enables you to broadcast emails or print and mail messages, letters or notices to multiple tenants, vendors or prospects with a single mouse click. Minnesota and Missouri Certificate of Rent Paid (CRP). Property Boulevard calculates and prints CRPs required in Minnesota and Missouri.